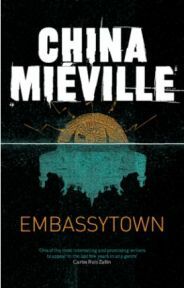 Embassytown is the eighth novel from China Mieville, one of the world’s leading fantasy fiction writers, and winner of numerous genre awards. It is set on an alien world at the edge of the known universe, where a colony of humans lives in a small enclave (the Embassytown of the title) in the midst of a strange world occupied by the Ariekei. Mieville is not overly specific in his description of the Ariekei or their world; he describes parts of it and its strangeness is clear, but much is left to the imagination. It is a world in which most structures are composed of living material, with a limited degree of sentience, manufactured and maintained by the Ariekei themselves. Even the Ariekei’s physical appearance is not clearly described in the novel. 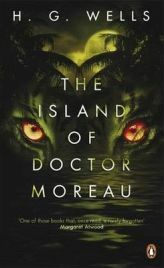 The Island of Doctor Moreau is a quasi-allegorical 1896 science fiction novel written by the great HG Wells. The story concerns the frequently terrified Edward Prendick, a shipwrecked sailor who is rescued in the South Seas and ends up on a remote and mysterious island where a hubristic scientist named Moreau is conducting all manner of strange and troubling experiments. Prendick is soon spooked by the strange sights he catches glimpses of in the jungle and the cries he hears late at night from his room and becomes very curious to find out what exactly is going on as this unsettling tale unfolds and the macabre secrets of Moreau are gradually revealed. ‘On January the Fifth, 1888,’ informs the wonderfully atmospheric introduction. ‘That is eleven months and four days after my uncle, Edward Prendick, a private gentleman, was picked up in latitude 5′ 3″ S. and longitude 101′ W. in a small open boat of which the name was illegible but which is supposed to have belonged to the missing schooner Ipecacuanha.